The following questions were asked on reading textbook chapters and previewing presentation on diffraction. 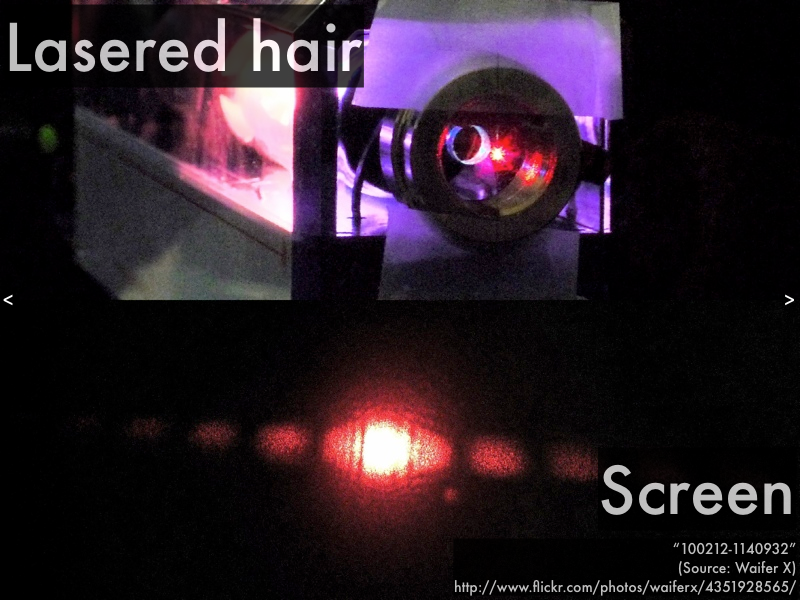 "Diffraction is the spread of light from a single slit. A smaller W (slit width) results in a larger spread angle. This spread angle is the destructive region which is the boundary of most of the diffracted wave energy." "I understand the idea behind waves spreading after traveling through a single slit. The smaller the slit, the larger the half angle of the spread will be. Also the formula is based on the half angle." "I understand that when the width of a slit gets smaller the 'spread' increases. And when the width of a slit gets bigger the 'spread' decreases." "Smaller width means more spread." "Honestly all I understood was the terminology." "Most of the presentation seemed fairly clear and to the point. I could possibly use some more clarifications on what exactly the minima angle represents and the difference between the half-angle and the minima angle." "When reading from the book I didn't really quite get the difference between the central bright fringe and the dark fringes. I don't really understand how to find the central bright fringe whereas the dark fringe is just the formula presented in the book and online lecture." "What the relationship between the first minima and spread angle?" "Although I understood the relationship between W and θ, I dont know how to actually calculate that. I am sure we will go over this later." "The laser hair screen slide was the only part of this lecture slide that was confusing, I just would need to see another example and I will probably be ok."
"Why do we reference a half-angle instead of the angle showed? How does squinting play a part in how well we can see?"